Last Friday after work, I rushed home to see my boys and spend some time with them before going out for drinks with some friends, one of whom is an award-winning parenting author. Ahem. 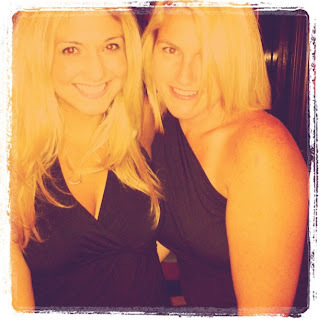 Whenever I go out with these girls, we always have a great time. "It's mom! Your sister is in the hospital, her water broke! Get the kids and let's go let's go let's go!" After hanging up the phone, I rolled over and fell back asleep. Chances were very good that no baby would be making an appearance before 9 a.m. Certainly not before I had my coffee! When I woke up I went into nesting mode on behalf of my sister, and spent the morning cleaning my house from top to bottom, while at the same time playing with my children and planning all the things we had to do that day to get ready for my son's 6th birthday party the next day. That's right. Hosting a big birthday party the same weekend my sister was having her baby and also the same weekend my in-laws were leaving for Greece for a few months, one week before I leave for San Diego? I guess you could say things were a little hectic! "Hurry back! She's having the baby!" I rushed home to pick up my family and made it to the hospital just in time. Finally, a baby was born! I spent the next hour holding my new nephew and inhaling the most delicious baby smell, thinking about how it was when I was in the same room giving birth to my children, and thinking about how quickly time passes. Baby fever? Almost, I'd say! 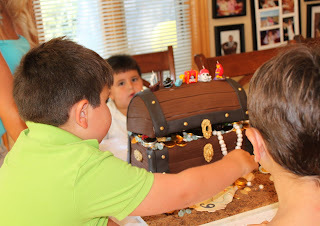 We were doing a pirate/treasure hunt theme this year, complete with pool party and big backyard BBQ. The best way to celebrate a summer birthday, right? 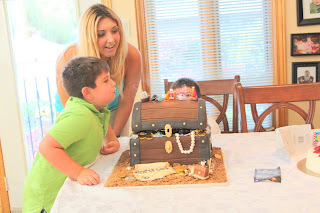 I loved seeing his expression when he saw the cake I ordered for him - this was one amazing treasure chest birthday cake! The best part? It tasted so good! That is one PACKED weekend! Congrats on your new nephew! And happy bday to you son as well!!!!!!!!!!!! I THOUGHT your sister had recently had a baby! Wow, they are close in age! You're a great aunt, Loukia! 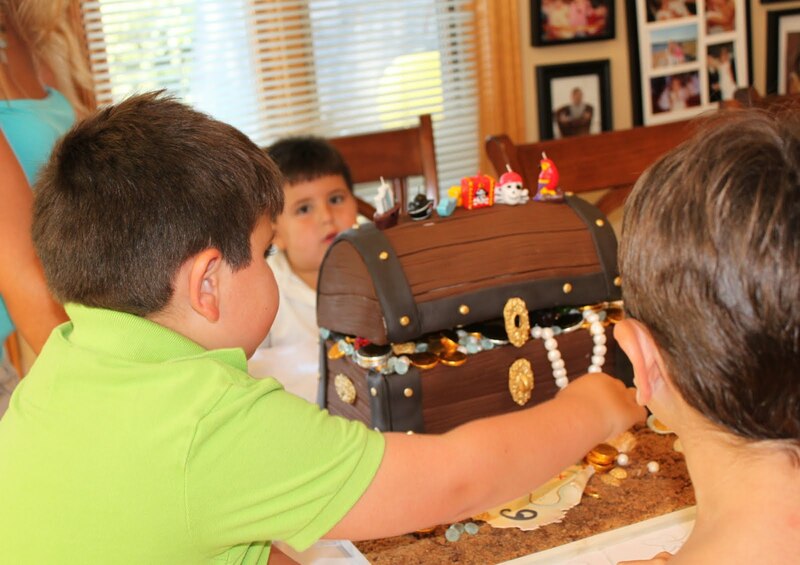 And that treasure chest, cake? Awesome! You did have a crazy weekend girl! 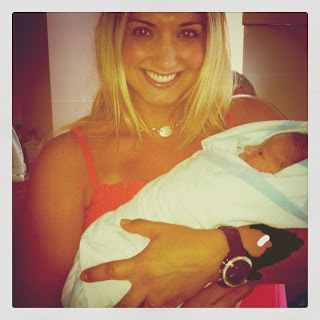 Congratulations on your nephew (is this your sister's 2nd baby - I seem to remember her having another quite recently?). Looks like your son had an awesome birthday. 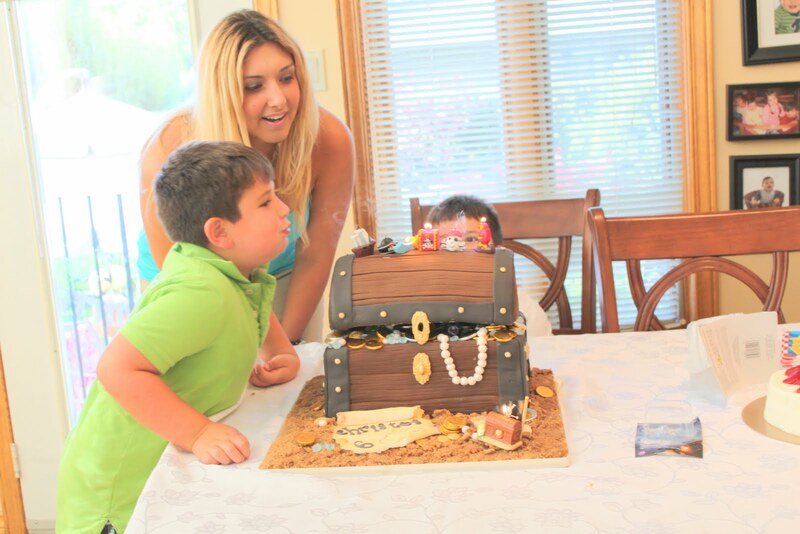 I love the pirate cake! And I really must remember to buy my son's cake next time instead of trying (and not succeeding) to make it like I usually do! It is probably wrong that it makes me feel better to know that someone else has a life as crazy as mine!